A smart class needs no introduction. It is an innovation for the education system that provides a visual representation of the subject being taught. It is a solution which is changing the way how students are taught, which is, in turn, enhancing their knowledge. Every student has a unique perception of things. This perception helps them grow as an individual in day-to-day activities. A smart classroom promotes this perception by providing an intuitive environment for ease of learning. It also helps them develop their self-learning abilities which can further boost their interest levels that promotes a healthy educational experience. A smart classroom is not limited to the student; it consists of several modules that can help in assessing the overall progress of either your students to increase productivity. 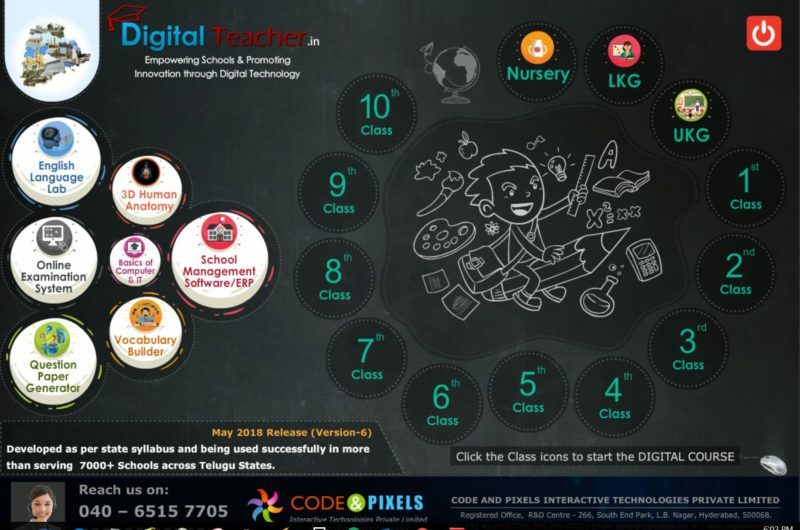 We have done intensive research on digital classroom solution and we strongly believe we have designed the perfect product with emphasis to the student. Our product is one of the first smart class solutions that incorporates a modular structure for quick upgrades. Such an environment can benefit your students by preventing disruptions on their education as well. In conclusion, a smart classroom provides several benefits over the current educational methods. Experience this educational environment for yourself at the earliest. We are really excited to bring this digitized educational experience to your students and are looking forward to do even more!